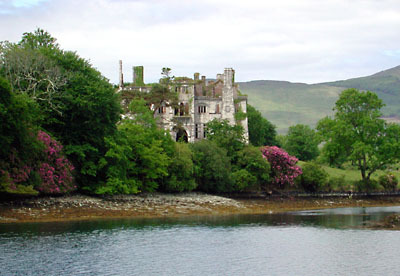 About 3km south-west of Castletownbere, we turned off the main coastal road to get to Dunboy Castle. 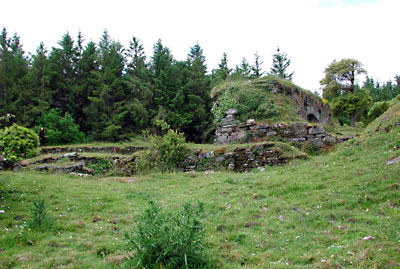 The ruins are located on private farm land and you have to pass through a gate with a box next to it where you pay on the honour basis. 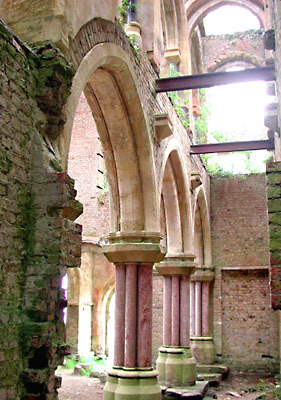 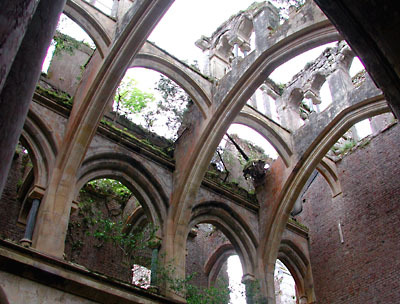 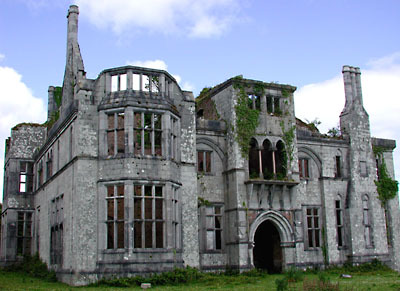 Before you get to the castle, you drive by the magnificient ruins of Puxley Mansion, the 19th century home of the Puxley family who became rich from copper mining. 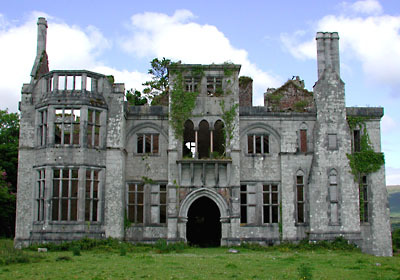 Although the mansion was burnt down by the old IRA in 1922, it doesn’t take a lot to imagine its former extravagance. 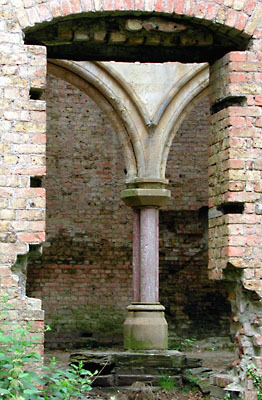 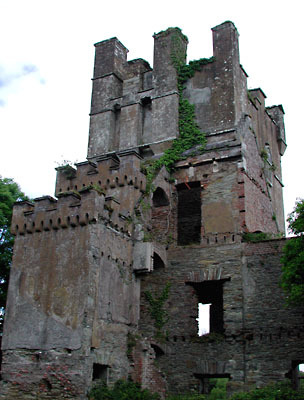 Compared to the mansion, the castle ruins look somewhat unspectacular. 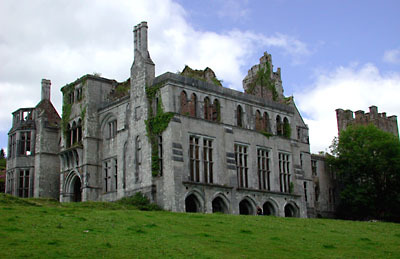 Dunboy Castle was the home of the O’Sullivan clan who ruled the region for three centuries until the castle was taken by the English in 1602. 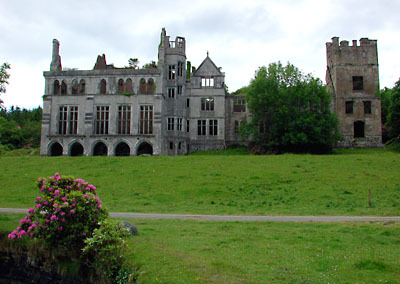 For a small fee, you may actually camp on the castle grounds. 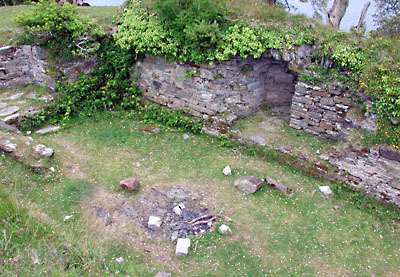 I guess this is the origin of the small fireplace in the above picture.